FROM THE WEBSITE: Founded in 1856, the aim of the National Portrait Gallery, London is ‘to promote through the medium of portraits the appreciation and understanding of the men and women who have made and are making British history and culture, and … to promote the appreciation and understanding of portraiture in all media’. Like other national museums, the Gallery is supported both by government and increasingly by a large number of individuals, companies, trusts and foundations, as well as by the receipts from ticketed exhibitions, shops, catering and events. The Gallery aims to bring history to life through its extensive display, exhibition, research, learning, outreach, publishing and digital programmes. These allow us to stimulate debate and to address questions of biography, diversity and fame which lie at the heart of issues of identity and achievement. 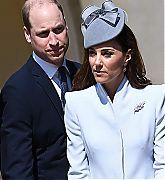 Catherine, Duchess of Cambridge became Patron in January 2012. 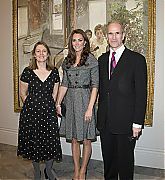 February 08, 2012 – Lucian Freud Portraits Exhibition At The National Portrait Gallery – In her first solo engagement Catherine, Duchess of Cambridge attended the Lucian Freud portraits exhibition at National Portrait Gallery in London, England. During her visited Catherine chatted with Sarah Howgate, curator of the exhibit, and Sandy Nairne, National Portrait Gallery Director. 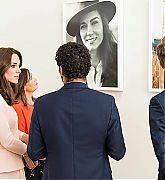 July 19, 2012 – Visiting National Portrait Gallery’s ‘Road To 2012: Aiming High’ Exhibition – Catherine, Duchess of Cambridge visits the ‘Road To 2012: Aiming High’ exhibition at the National Portrait Gallery in London, England. 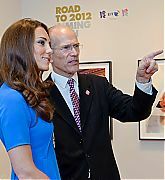 The Duchess of Cambridge as Patron of the National Portrait Gallery visited the exhibition, which showcases commissioned photographs documenting preparations for the London 2012 Olympic and Paralympic Games, and runs from July 19 – September 23. 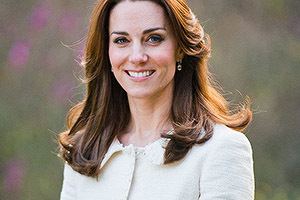 January 11, 2013 – Official Portrait By Paul Emsley Is Unveiled At The National Portrait Gallery – Catherine, Duchess of Cambridge is given a private viewing of her first ever official portrait with artist Paul Emsley at the National Portrait Gallery in London, England. 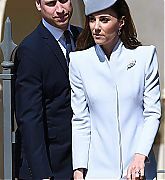 The painting, which is titled HRH The Duchess of Cambridge, will be displayed as part of the National Portrait Gallery’s Contemporary Collections. 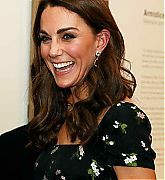 April 24, 2013 – The Duchess Of Cambridge Attends The Art Room Reception – Catherine, Duchess of Cambridge attends The Art Room reception at National Portrait Gallery in London, England. This event was a reception celebrating the work done by The Art Room (an organization using art to help young people struggling with emotional and behavioral issues) as well as the launch the fundraising efforts for Pledge for the Future . The Duchess is also Patron of The Art Room. 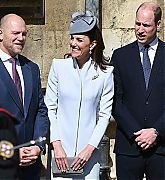 Catherine gave a speech at this event, and met with children. February 11, 2014 – The Duchess Of Cambridge Attends The Portrait Gala 2014: Collecting to Inspire – Catherine, Duchess of Cambridge attends The Portrait Gala 2014: Collecting To Inspire at National Portrait Gallery in London, England. During her visit The Duchess met with the writers behind the Pen Portraits, which are sketches that use words rather than pictures. The portraits will be sold to to raise funds for the National Portrait Gallery. Catherine also spoke with guests and attended the dinner reception. 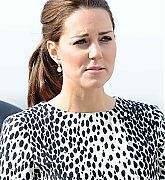 The Duchess also made remarks at this event. 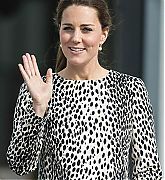 March 11, 2015 – Visiting Turner Contemporary Gallery – Catherine, Duchess of Cambridge visits Turner Contemporary as Patron of the National Portrait Gallery in Margate, England. 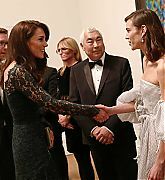 During this event The Duchess viewed the exhibit, and chatted with guests and artists. 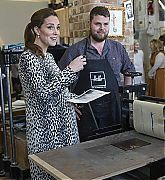 The Duchess also visited Resort Studios, an arts organization located in a restored Victorian warehouse that offers individual studios, shared facilities, workshop areas and exhibition space. 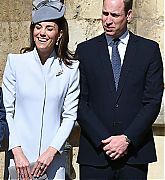 May 04, 2016 – “Vogue 100: A Century Of Style” Exhibition At The National Portrait Gallery – Catherine, Duchess of Cambridge gets a private tour of the ‘Vogue 100: A Century of Style’ exhibition at the National Portrait Gallery in London, England. The exhibition features two photos taken by British photographer Josh Olins. 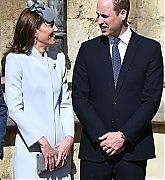 The Duchess appeared on the cover of the British Vogue in her first ever photo shoot for the centenary issue in June 2016 in her capacity as patron of the National Portrait Gallery..
March 28, 2017 – Attending The Portrait Gala – Catherine, Duchess of Cambridge attended the annual 2017 Portrait Gala at the National Portrait Gallery in London, Britain. 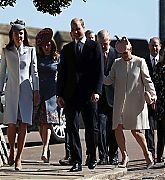 The Duchess viewed the gallery’s newest exhibitions including Howard Hodgkin: Absent Friends, and Gillian Wearing and Claude Cahun: Behind The Mask Another Mask. She also met with artist, Gillian Wearing, before viewing two other special collections commissioned in honor of the Gala. Following her tour of the exhibitions, the Duchess met with guests before attending the Gala dinner. Funds raised during the Gala will go towards supporting the National Gallery’s work and to aid the continued delivery of exhibitions and displays. It will also help the gallery continue its research. 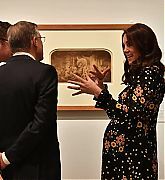 February 28, 2018 – Visiting The ‘Victorian Giants’ Exhibition – Catherine, Duchess of Cambridge, Patron of the National Portrait Gallery, visited the ‘Victorian Giants: The Birth of Art Photography’ exhibition at the National Portrait Gallery in London, England. 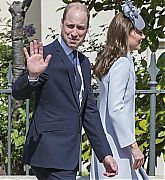 The Duchess wrote personal captions for some of the photographs, forming the gallery’s first Patron’s Trail, The Duchess also wrote a foreword to the exhibition catalog. 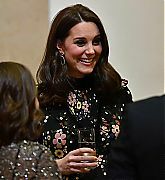 March 12, 2019 – Attending The 2019 Portrait Gala – The Duchess of Cambridge attended the 2019 Portrait Gala at the National Portrait Gallery. Funds from the event will support Inspiring People: Transforming our National Portrait Gallery,a project that will see a significant refurbishment of the building including a new new entrance and forecourt . During her visit Catherine met with members of the Gallery’s Youth Forum and viewed artwork produced by some of the National Portrait Gallery’s outreach schemes.